Those crime shows always have an interrogation room where the detectives can watch the interview with the criminal, without being seen. 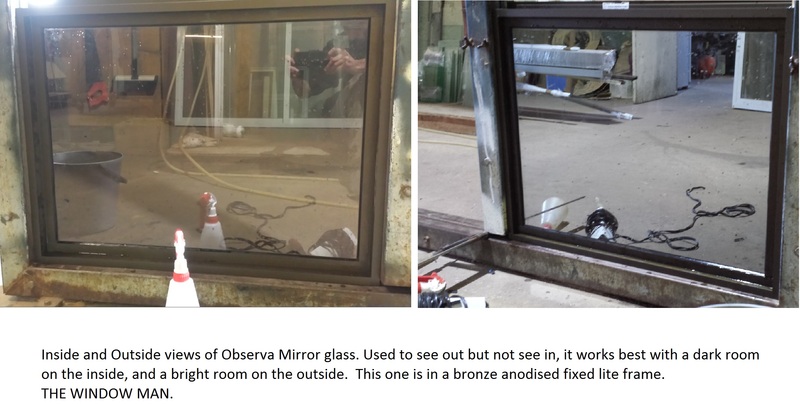 That glass is called OBSERVA mirror, and works best with a light/dark ration of at least 5:1. We made a little one for a client; remember it will work best when the inside room is very dark.